Today we’d like to introduce you to Jyl Bonaguro. Jyl, please share your story with us. How did you get to where you are today? I have always been an artist, however, living and working as a professional artist is something else entirely. I really began my life over after Hurricane Katrina in New Orleans. After losing so much and feeling shattered, I recognized that much of what I lost were simply things that I didn’t need anyhow. What I needed was to focus full time on my art work. 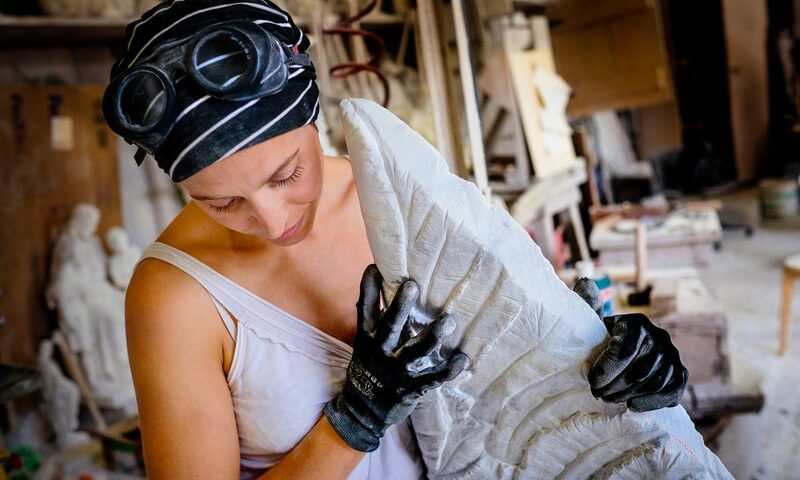 Multimedia appeals to me and I enjoy moving between playwrighting, oil painting, sculpture, furniture design, graphic design, video mapping and site-specific art installations with my main focus on carving Italian marble by hand. 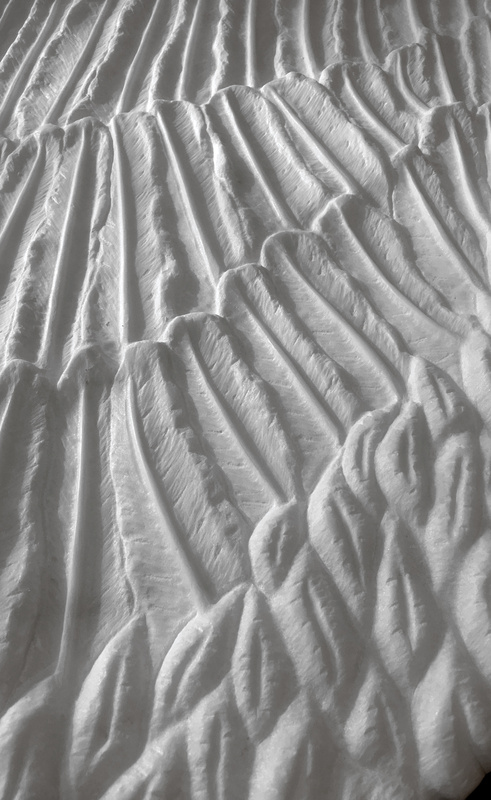 Without formal training or instruction, I bought some chisels and marble and began carving away and this self-taught approach has guided me throughout my life. 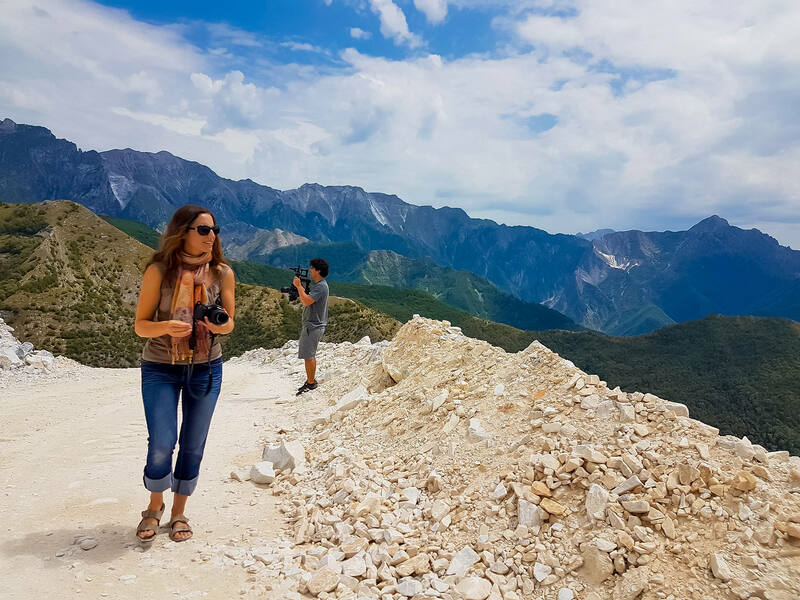 A documentary about my sculptures and journey as an artist is currently being filmed by Motion Filmworks and they recently released a short film, “LIFTED” about our trip to the marble quarries of Carrara and Pietrasanta Italy. View now https://vimeo.com/264720010. I have dreamt for years that I wanted to carve a female figure at the same scale of Michelangelo’s David and so, I thought it’s best to go straight to the source. Many of the most famous sculptures of the Renaissance were carved from these marble mountains and I find it endlessly inspiring. I am now prepared to begin on the small 4-foot version of this female figure that I have nicknamed the Modern Athena. No, my journey as an artist has not been smooth and more often than not, it has been about separating needs from wants. Forget new clothes when the studio bills are looming. However, the distillery of time has taken over and a flow has settled in a meditative purified state. Many concerns seem trivial or transitory at best compared to creating works of art and playwrighting. I need as much time as possible to release what’s in my imagination and to be inspired by daily life. 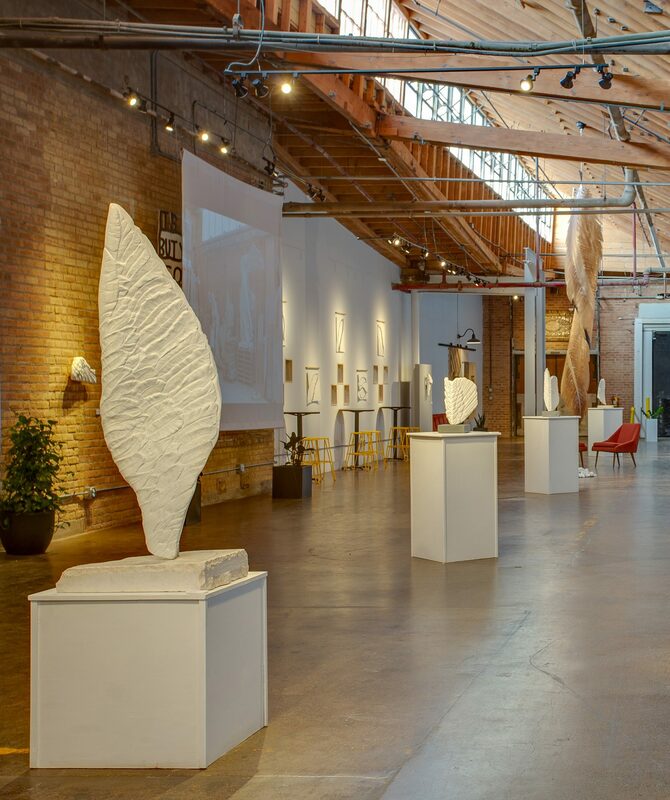 Artist, Playwright, Sculptor – what should we know? What do you guys do best? What sets you apart from the competition? 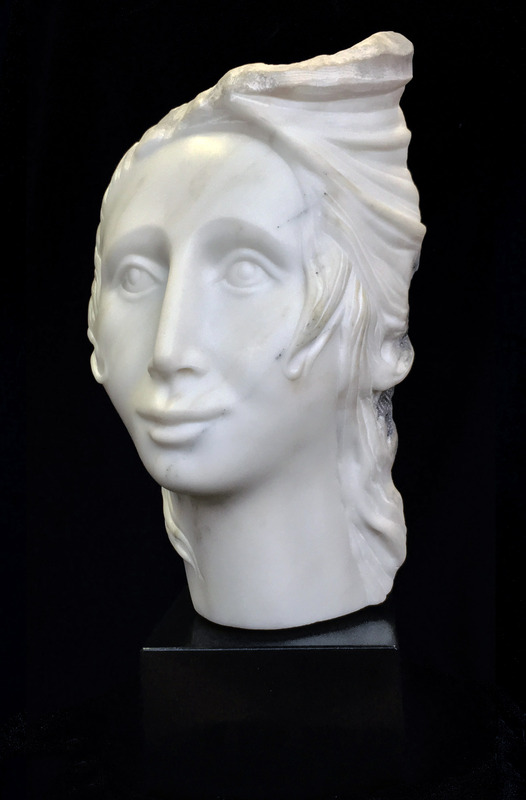 I specialize in carving original Italian marble sculptures, specifically statuario, by hand. 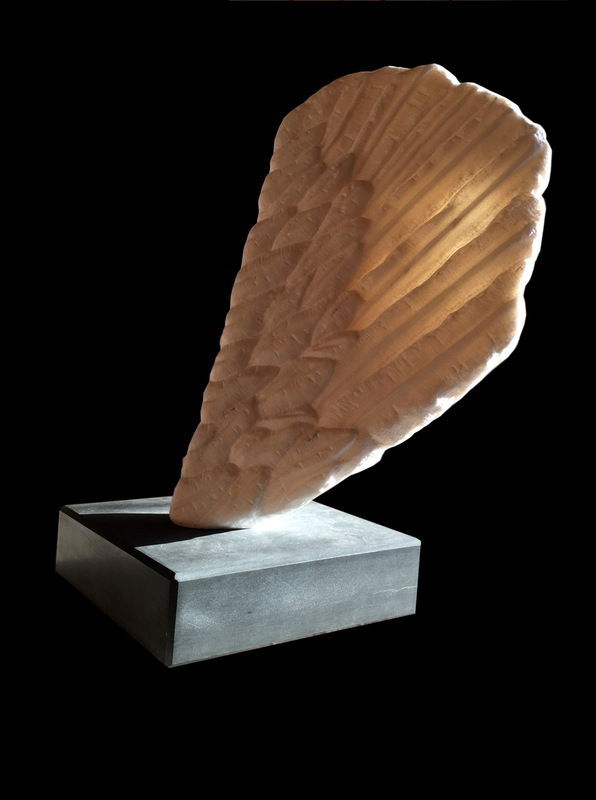 Often working spontaneously, my decidedly modern, self-taught approach to the ancient art of stone carving sets me apart from the formal academic approach, revealing the raw stone in select areas, leaving sections untouched and natural, reminiscent of fragments excavated by archaeologists. 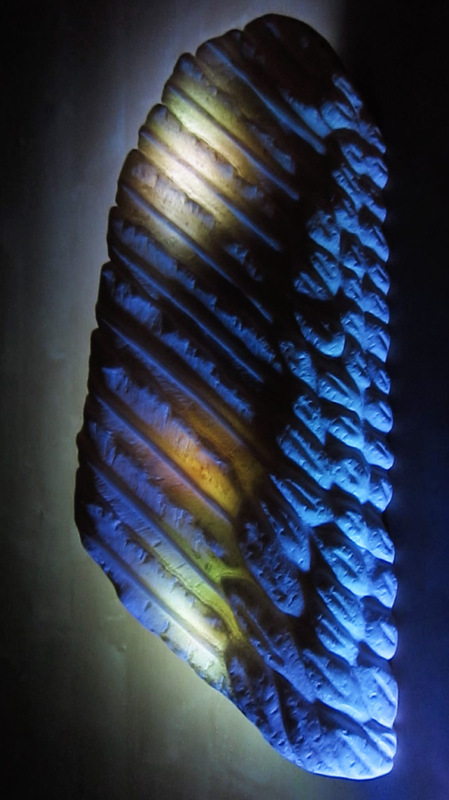 Lately, I have dismissed even the traditional pedestal by carving highly detailed wings out of marble and hanging them on walls with LEDs backlighting the pieces to reveal the translucency of marble. 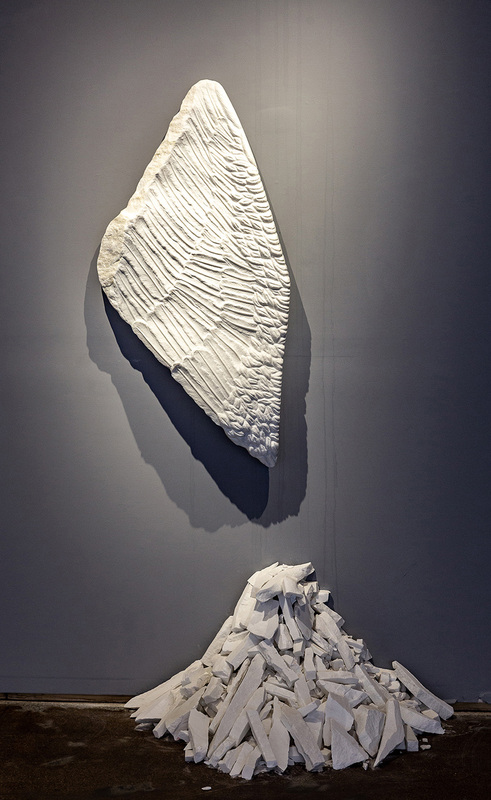 The subjects for the marble sculptures are figurative or wings, while multimedia commissions and site-specific installations range in subject and are often created with paper, wood, metal, and fabric among other materials. I get discouraged and times can be tough, but I do not give up and I am proud of my determination against many odds. For me, there is no risk to pursuing your dream. The only risk is to not pursue it. 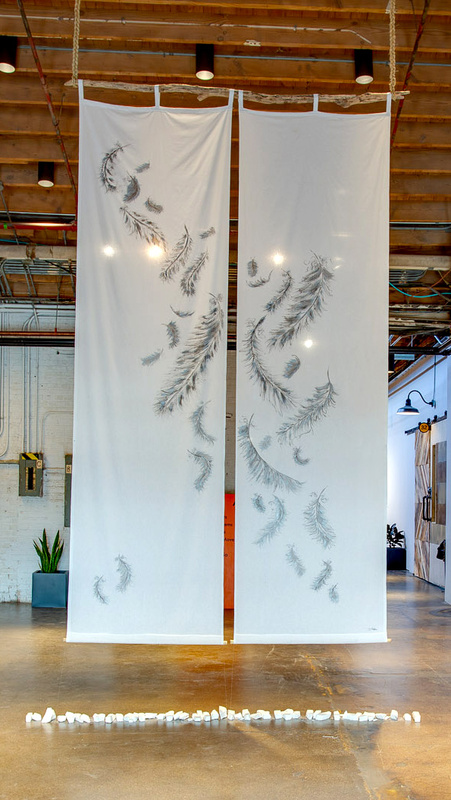 A highlight for me was the recent solo show of my marble wings, curated by Andrew Bridges, that allowed me to fill a 4,500 sq foot exhibition space with works ranging from hand carved marble wing sculptures, to paper and fabric installations, multimedia video mapping and live screen printing. I literally stretched my wings.